Acupuncture is an alternative medicine methodology originating in ancient China that treats patients by manipulating thin, solid needles that have been inserted into acupuncture points in the skin. Stimulating these points can correct imbalances in the flow of QI through channels known as meridians. Do you suffer from arthritis, sports and work injuries, sciatica, migraine, Bell’s palsy, neck and shoulder stiffness, sinus, low energy, carpal tunnel and fibromyalgia syndrome, menstrual and sexual problems etc. Be treated by the proficient Dr. Du. The Results Could Amaze You. LICENSED ACUPUNCTURIST, EXPERIENCED HERBALIST, M.D. in CHINA. Dr. Du. is a certified and licensed Acupuncture Physician and Herbalist. He has a Medical Degree from China and has practiced medicine for over 28 years. He has examined patients and diagnosed diseases by using scientific methods and techniques. 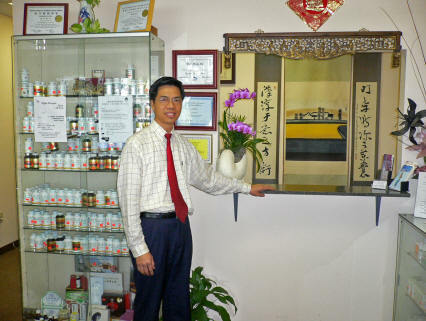 He has prescribed Chinese medicine (herbs) and Western medicine to treat patients. Acupuncture is a form of healing that is several thousand years old, and yet has really only come into the vocabulary of the average American in the past few years. There are a wide variety of illnesses which acupuncture may treat. Almost any pain condition may be treated, provided there are no medical contraindications, which prevent this. Insurance accepted: Humana PPO, Aetna, Cigna, United Health Care, Beech Street Network, PHCS network provider.